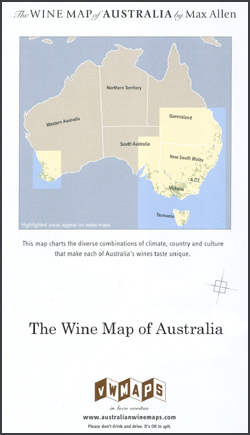 A Wine Map of Australia prepared by Max Allen showing the official classification of the wine growing areas of the country. 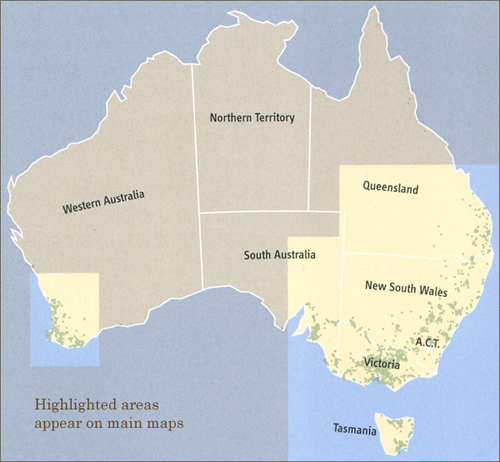 Coverage extends from the south-eastern part of South Australia, including the Kangaroo Island, the Southern Flinders Ranges and vineyards in the environs of Adelaide, across Victoria and New South Wales, to the South Burnett region of Queensland, plus Tasmania. 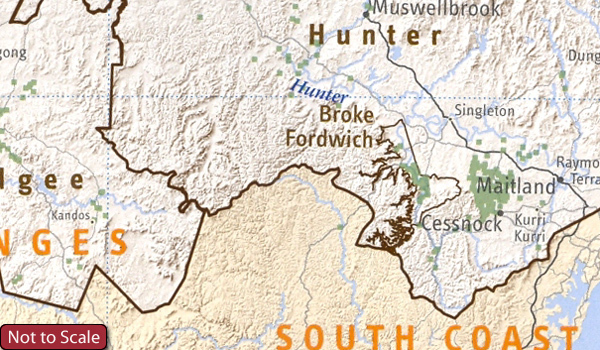 A separate inset shows the wine regions across the southern tip of Western Australia. 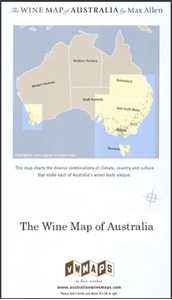 The map shows the names and boundaries of the official wine zones, regions and sub-regions, also unofficial regions, and is accompanied by detailed notes.